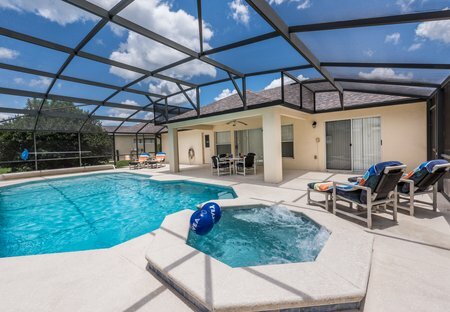 Stylish and spacious luxury villa set in a private Emerald Island resort in Kissimmee. Private pool and spa with first class games room. 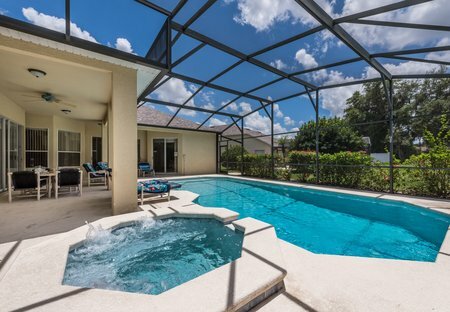 2 miles from Disney and attractions. Private pool. PS3 and Video Games. Netflix. Free wireless internet. Unlimited free phone calls worldwide. Outside Grill and covered lanai. So close to Disney you can hear the fireworks. Superior 4 bedroom family owned villa with *LARGE PRIVATE SWIMMING POOL*, *FREE WIRELESS INTERNET*, *50 INCH HD TV & FULL CABLE TV*. Set in the prestigious Southern Dunes Golf & Country Cub. PERFECT !